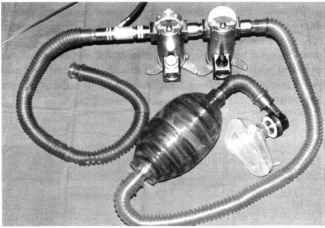 The Mapleson E system, or Ayre's T-piece, has virtually no resistance to expiration and was used extensively in paediatric anaesthesia before the advantages of continuous positive airways pressure (CPAP) were recognized. 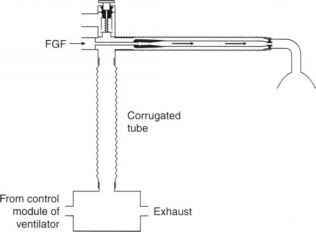 It functions in a manner similar to the Mapleson D system in that the corrugated tube fills with a mixture of exhaled and fresh gas during expiration and with fresh gas during the expiratory pause. Rebreathing is prevented if the FGF rate is 2.5-3 times the patient's minute volume. If the volume of the corrugated tube is less than the patient's tidal volume, some air may be inhaled at the end of inspiration; consequently, a FGF rate of at least 4 L min-1 is recommended with a paediatric Mapleson E system. During spontaneous ventilation, there is no indication of the presence, or the adequacy, of ventilation. It is possible to attach a visual indicator, such as a piece of tissue paper or a feather, at the end of the corrugated tube, but this is not very satisfactory. Intermittent positive pressure ventilation (IPPV) may be applied by occluding the end of the corrugated tube with a finger. The Penlon Nuffield 200 ventilator. 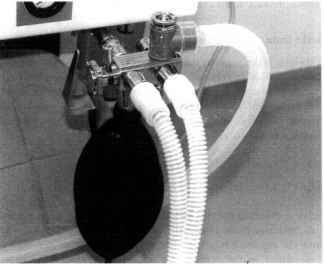 The Bain system for controlled ventilation by a mechanical ventilator (e.g. Penlon Nuffield 200). 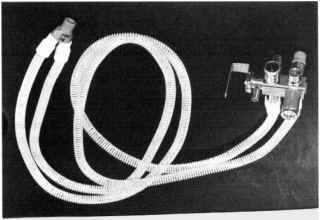 Aim length of corrugated tubing with a capacity of at least 500 ml is required to prevent gas from the ventilator reaching the patient's lungs. P3CO2 is controlled by varying the fresh gas flow rate (FGF). However, there is no way of assessing the pressure in the system and there is a possibility of exposing the patient's lungs to excessive volumes and pressures. 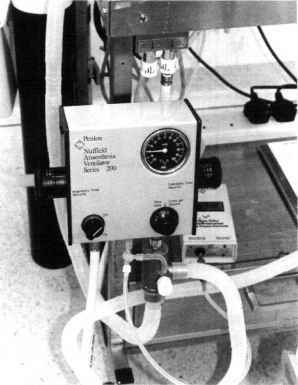 The Triservice apparatus (courtesy of Dr S. Kidd). The Humphrey block. This consists of an APL valve, a lever to select spontaneous or controlled ventilation, a reservoir bag, a port to connect to the ventilator and a safety pressure relief valve. 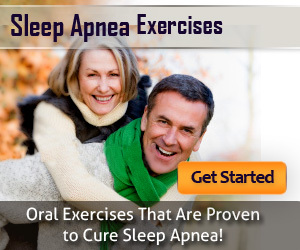 • It provides visual evidence of breathing during spontaneous ventilation. • By occluding the open end of the bag temporarily, it is possible to confirm that fresh gas is entering the system. 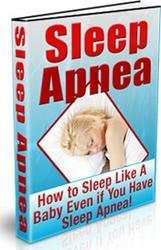 • It provides a degree of CPAP during spontaneous ventilation and positive end-expiratory pressure (PEEP) during IPPV. • It provides a convenient method of assisting or controlling ventilation. The open end of the reservoir bag is occluded between the fourth and fifth fingers and the bag is squeezed between the thumb and index finger; the fourth and fifth fingers are relaxed during expiration to allow gas to escape from the bag. It is possible with experience to assess (approximately) the inflation pressure and to detect changes in lung and chest wall compliance. However, one main disadvantage of the Mapleson F system is that efficient scavenging is unsatisfactory and is non-standard.